Happy June! Summer is in full swing and we have a couple recipes that are perfect for the patio on a nice summer evening. 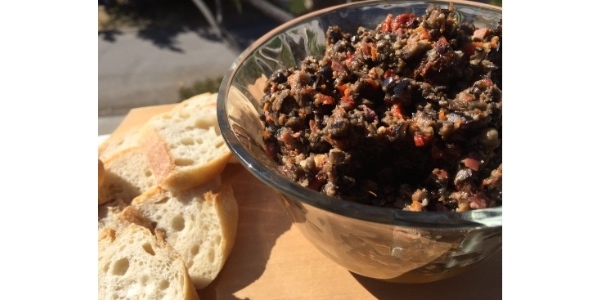 For starters we have an Olive sun-dried tomato tapenade. So easy and lots of flavor. Our main course, a delicious Grilled Shrimp Salad using our Himalayan Salt Brick for the grilling. Very cool, or should we say 'hot." For dessert we have a buttery citrus cake made with fresh lemon and orange juice. 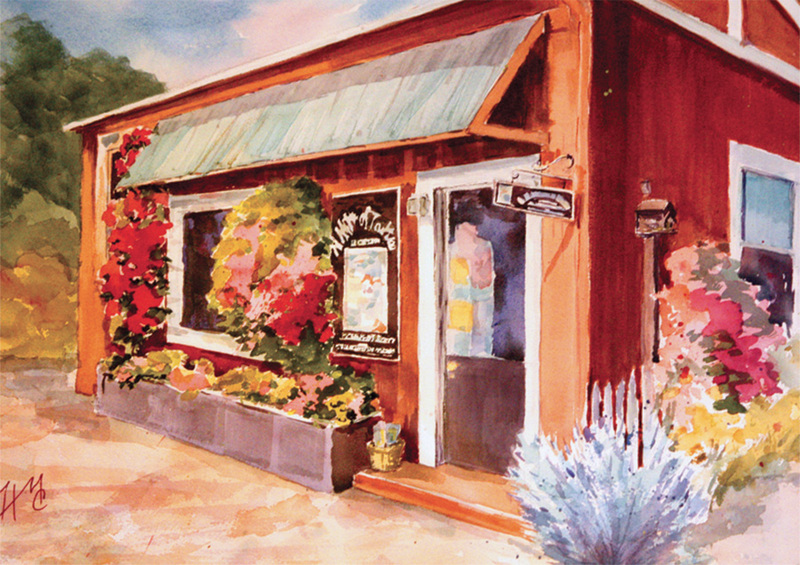 Enjoy the summer ~ and to all you Dad's - Hope you had a very Happy Father's Day. In a food processor, add the garlic clove and pulse till chunky. Add the olives, sun-dried tomatoes and the olive oil (use the oil the tomatoes were packed in) and pepper. Pulse until just a bit chunky. Add more olive oil if mixture is too dry. Spoon into a serving bowl. Can be refrigerated up to 2 days. Be sure to bring it to room temperature and mix thoroughly before serving. Serve with sliced baguettes, crackers, endive leaves or cucumber cups. Heat Himalayan Salt Brick on medium heat for 20 minutes. Make sure Salt Brick is very hot before cooking shrimp. Place Shrimp in ziplock bag with juice of 1 lemon, olive oil, red pepper and black pepper. Let marinade for 10 minutes. 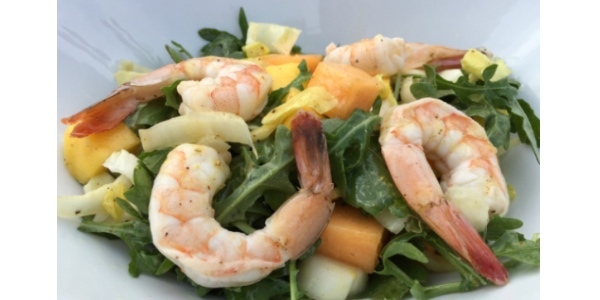 In a large bowl, combine arugula, endive, mango and cantaloupe. Set aside. Once shrimp are done marinating, pat shrimp dry before placing on salt brick. Cook shrimp for apprx 2-3 minutes each side or until done. Add to salad. Whisk together Lemon juice, spicy brown mustard, red wine vinegar, honey and salt & pepper. Whisk in olive oil. Toss with salad. This recipe can be halved. Grease the side and base of 8" round cake pan. Line the base of pan with parchment paper. Using a hand mixer, beat butter and sugar until very pale and creamy. This takes approx. 5 mins. Add the eggs one at a time, beating for a few minutes after each egg so batter is well mixed. Add the zest and princess emulsion after the last egg. Don't rush this mixing process or the mixture will be more likely to separate and develop a curdled appearance. At this point your mixture should be pale and creamy. Mix together flour, baking powder and salt. Add half the flour to butter mixture and stir until just combined. Repeat with the remaining flour. Spoon mixture into prepared pan and spread evenly. Bake for about 45-50 minutes, or until the cake tester comes out clean. The cake should spring back when lightly pressed in the center. Citrus Icing - Stir icing sugar and juice together in a small bowl until smooth. Add more juice if the icing is too thick. 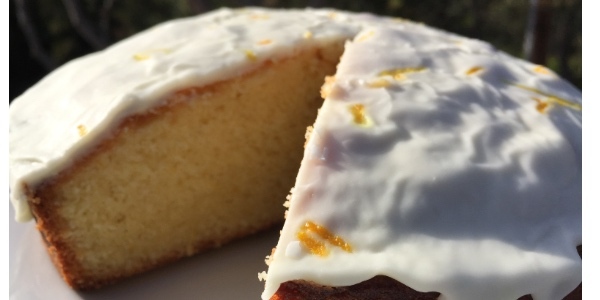 When cake is cooled, remove cake from pan and ice with citrus icing. If you don't like icing, dust with icing sugar.